Sorry I haven't been able to blog for a while it's because I have been on work experience at Hope FM in Bournemouth. It's been a hectic week as I had my friend staying with me, as we were both doing work experience at the same time and have been talking each others ears off. We were wondering around town in Bournemouth before going to watch If I Stay as we had some time to kill and we thought why not wonder around the shops. I swear it is impossible to not buy anything and I always buy makeup of some sort. When in New Look, I spotted Kelly Brook's makeup products and I have actually bought an eyeshadow from her range before and loved it. 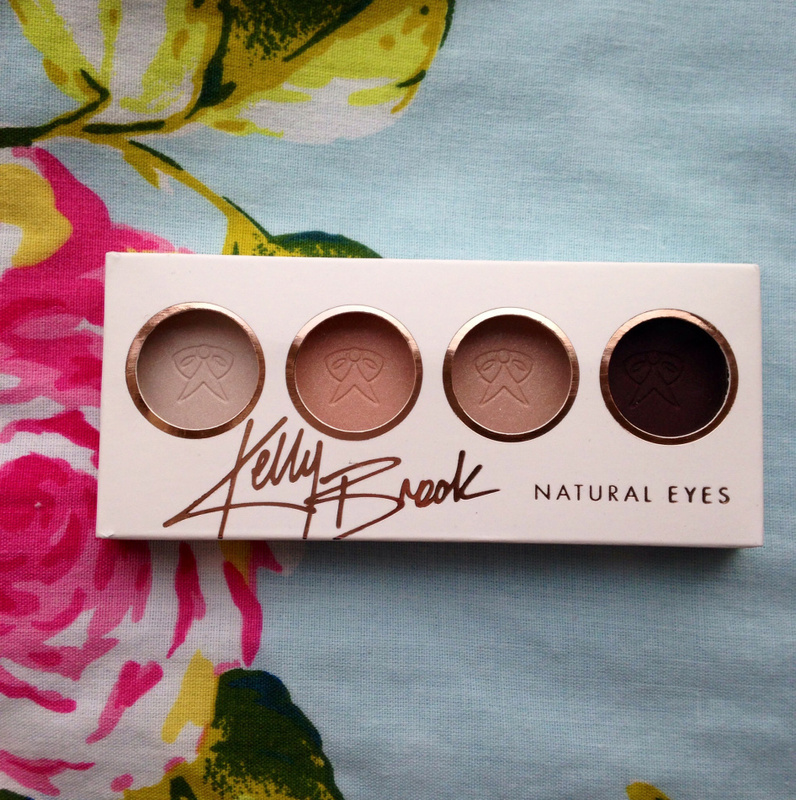 I picked up Kelly Brook Stone Lana Eyeshadow Quad as it is natural shades and perfect to wear during the day. 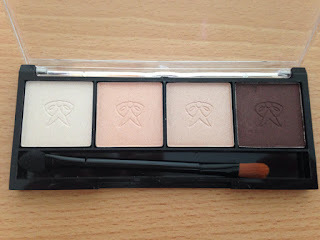 I love the colours, they are so subtle even though they have a slight tint of glitter in them. It adds a natural touch to your eyes and it doesn't cost you an arm and a leg. At only £2.99 it is a bargain and I will definitely be trying more.